The wish for any festive show is that you leave the theatre feeling thoroughly entertained, filled to the brim with Christmas spirit and if you’re really lucky, a little bit heart-warmed; Cumbernauld Theatre’s glorious production of Hans Christian Andersen’s The Snow Queen delivers all of this and a whole lot more. 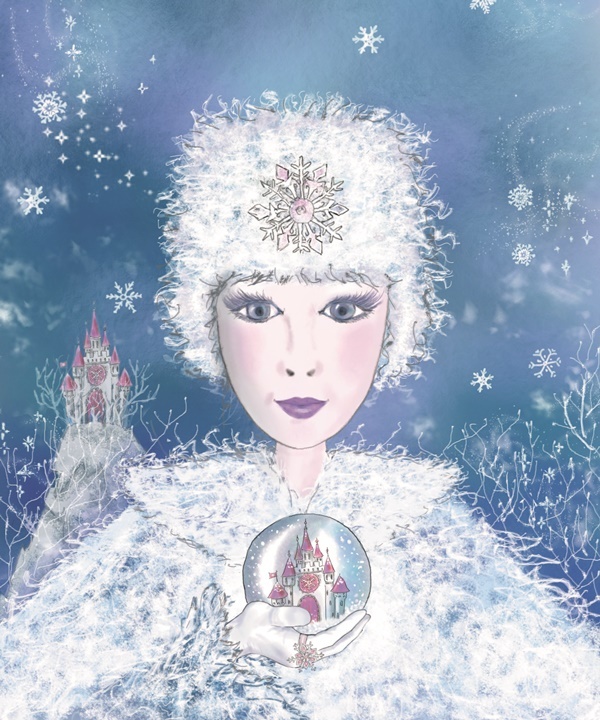 The eternally popular tale of friendship and the triumph of love over evil, The Snow Queen follows the story of a young girl Gerda who is forced to battle the wicked Snow Queen in order to save the heart of her best friend Kai. She journeys through the four seasons, facing a series of obstacles in the shape of a series of whacky and sometimes alarming characters, until she finally confronts the evil Queen in a battle for her friend’s heart. Despite being a traditional fairy tale, this production is inventive and thoroughly modern, and unlike the usual pantomime fodder it has real heart and soul: for all the laughs and moments of physical comedy the piece never shies away from the darker aspects of the tale, and as with all great fairytales there are moments when there is a tangible sense of peril. It is testament to the fantastic writing skills of dramaturge Roderick Stewart and the impeccable eye of director/designer Ed Robson that those cynical at the start were quickly entranced and completely and utterly won over after the first scene; thoroughly gripped, they hung onto every word until the end. The interactions from the audience were elicited, not from cheap humour or the goading and haranguing that most Christmas shows resort to, but instead relied on enchanting storytelling, fine acting and an excellent script to prompt genuine emotion from the onlookers; the children and adults alike feeling actual concern for the characters. There’s plenty to laugh at too, the simple but clever humour elicits laughs from the children as do the subtle but equally clever asides designed for the adults. Highly atmospheric, the excellent script and acting are wonderfully complimented by clever lighting design and video projections by Craig Kirk, the visuals are used judiciously and to great effect throughout. There’s magic in the tiny details: ice cracking underfoot as Gerda makes a perilous crossing of the frozen lake to reach the Snow Queen’s palace; the crow’s wings made from flapping socks, the teeny, tiny Welsh Guards and a fabulous frog in a rowing boat all delight the eyes. The huge array of colourful characters are ably handled by the small ensemble cast, as well as Gerda (Samantha Foley) and Kai (Colin McGowan) and the titular Snow Queen (Julie Brown) there’s also Dougie the dug, a Glaswegian Labradoodle (and the highlight of the night, hysterically played by Nicky Elliot) the Flower Lady and a crow that sounds suspiciously like Sean Connery. The multiple and lightning-quick changes are seamlessly achieved by the actors and each different character is unique and distinct. This is an utterly absorbing tale eloquently and magically told. It is genuinely uplifting and will leave even the coldest of hearts warmed. Captivating, intelligent, gripping, entertaining, and absolutely joyous. Miss it at your peril.